My son's football gloves REEEEEK when he gets into the car after practice. It's a horrible sour, stinky smell that could be a weapon of war. It doesn't help that he usually strips them off all sweaty and stuffs them into his helmet after practice to sit there until the next night. Soon the smell is all through his helmet and all over his face after a few days. For a super stinky pair that has been hanging out for awhile, I turn them inside out and really scrub the inside, then flip them to dry normally. After they are dry, I fill them with baking soda and let sit overnight. Pour out soda and wear as usual. 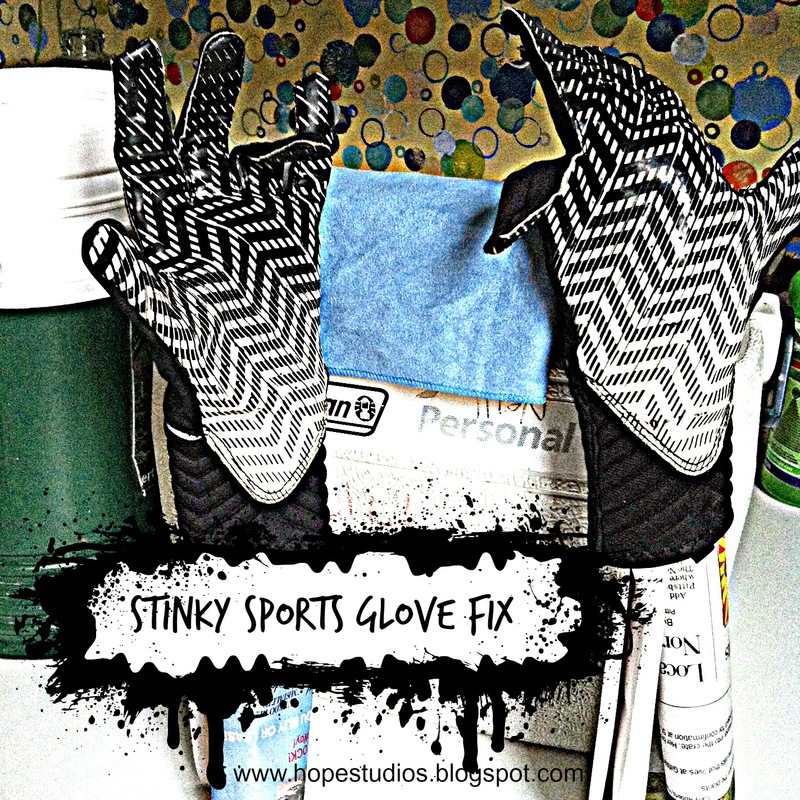 For SUPER SUPER smelly gloves, pour in some vinegar to let them fizz up after sitting overnight, then rinse and dry with the newspaper. This is a 2 day process with all the rinsing and drying but well worth it. I am about to go pick up my kid from his first day of football practice. It is 97, so I am considering investing in a gas mask.